River terrace deposits are a focus of considerable scientific, archeological, and economic interest. 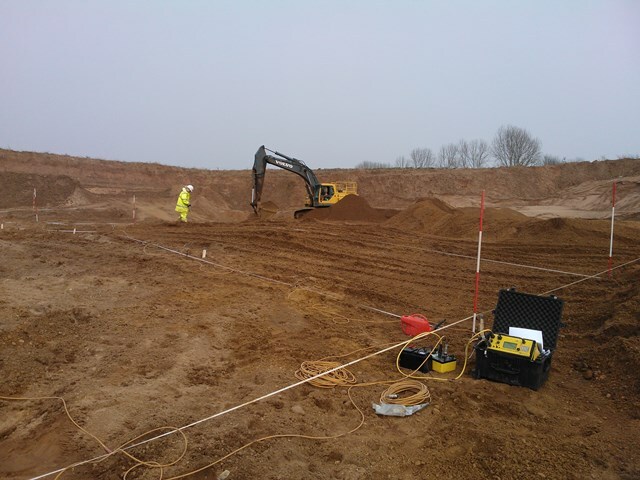 These deposits are a particularly rich source of archeological artifacts preserving a record of Paleolithic human activity and are also a major economic resource of groundwater and sand and gravel aggregates for construction. 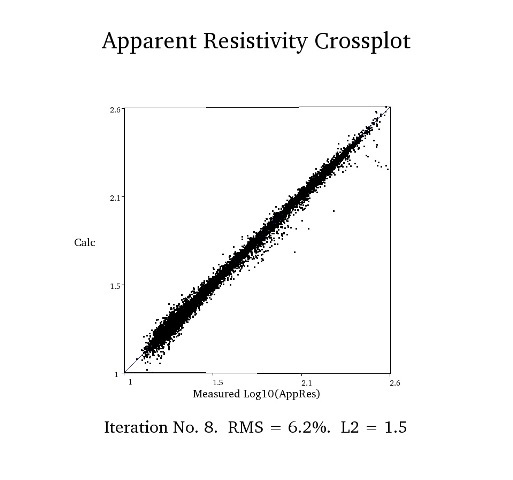 River terrace deposits can be highly variable and difficult to characterize in terms of structure and lithology, particularly where the deposits of multiple or dissected terraces are present. 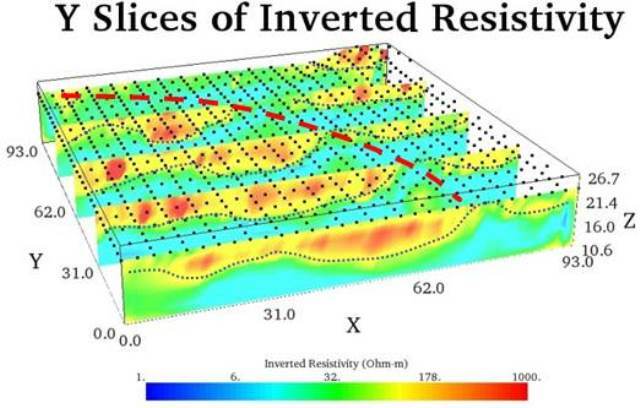 Typically, the most detailed and commonly undertaken subsurface investigations of river terrace deposits are for mineral exploration—where drilling is the principal investigative tool. 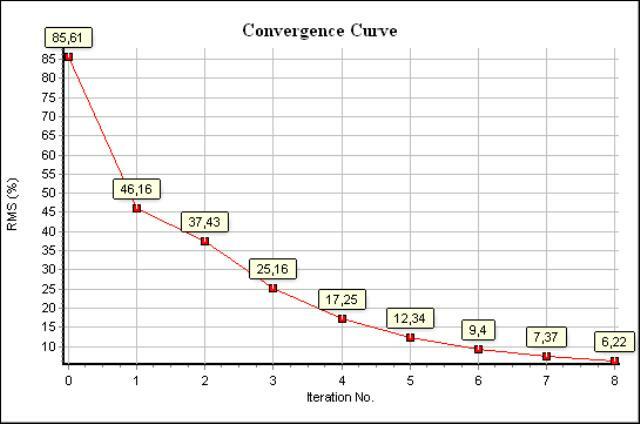 However, because of the complexity of some deposits, even drilling using densely spaced boreholes can fail to adequately reveal the three-dimensional (3D) structure of a deposit in terms of thickness and composition. 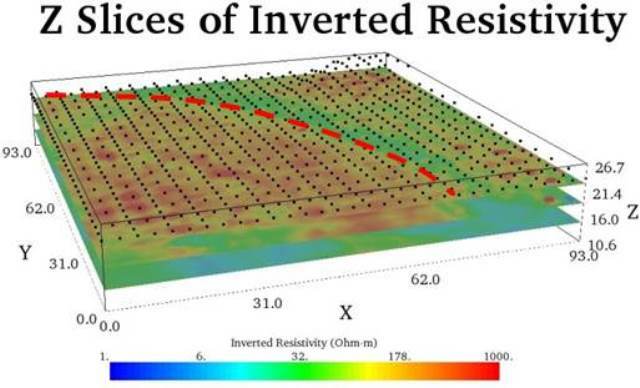 The 3D Electrical Resistivity data was collected on a network of 32 orthogonal survey lines positioned at 6-m intervals in X and Y directions of 93m by 93m area in November, 2009. 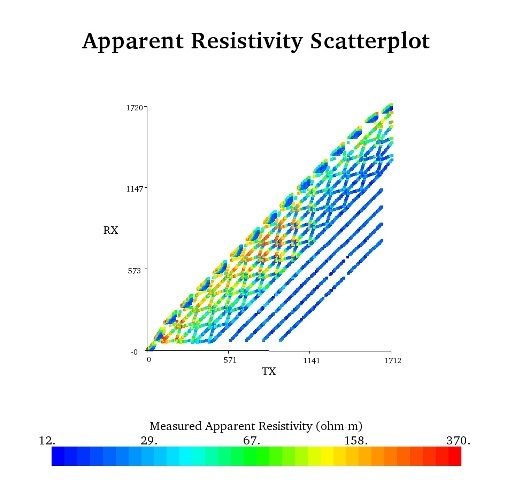 The Dipole-Dipole array with 3 and 6m dipole separations of 1 to 8 levels were used with normal and reciprocal of 11,270 measurements with the SuperSting™ R8/IP, Switchbox, and the Passive Electrode Cables. 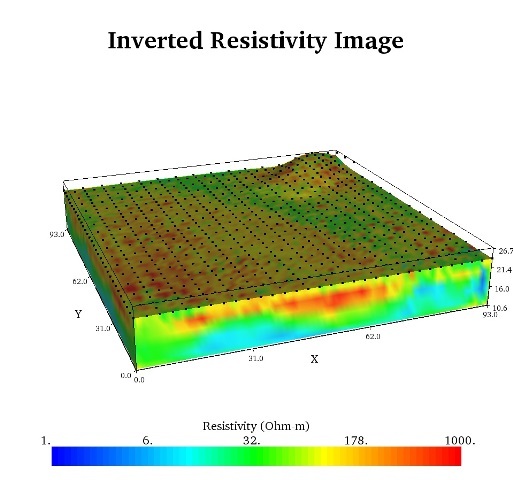 The combined 3D data set was processed and 3D inversion models were run by EarthImager™ 3D and EarthImager™ 3DCL (64bit) which illustrates as low resistivity clay-bedrock below more resistive and highly heterogeneous mixed sand and gravel deposits of fluvial valley-fill terraces. 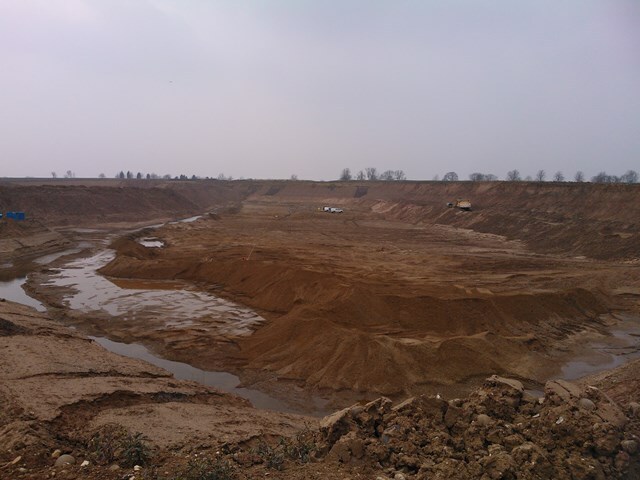 The results provide a high spatial resolution that enabled a previously unknown erosional bedrock structure—associated with the change from deeper first terrace to second terrace deposits—to be identified in the Great Ouse valley. 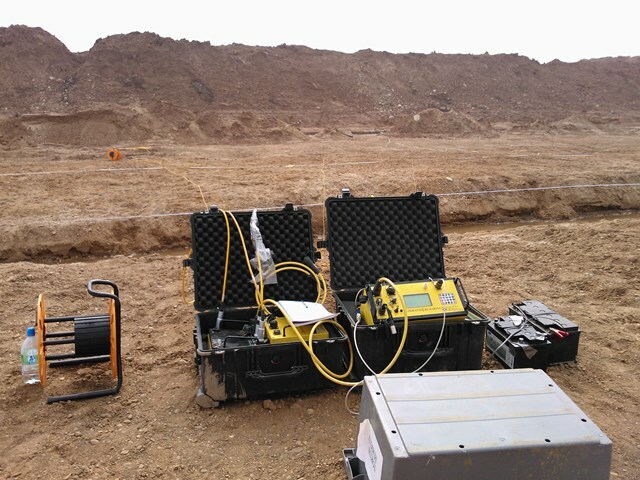 Borehole data provided a useful ground truth data set to assess the performance of 3D ERT for river terrace deposit characterization and bedrock detection. 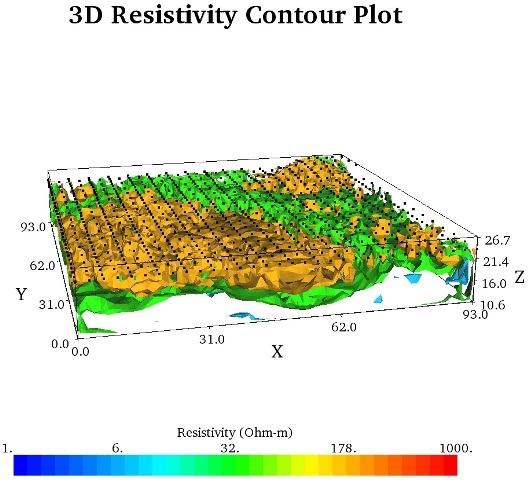 Subsurface geological variations (including the distribution of major formations, and lithological heterogeneity, and river terrace deposit thicknesses) were captured within the 3D ERT model. 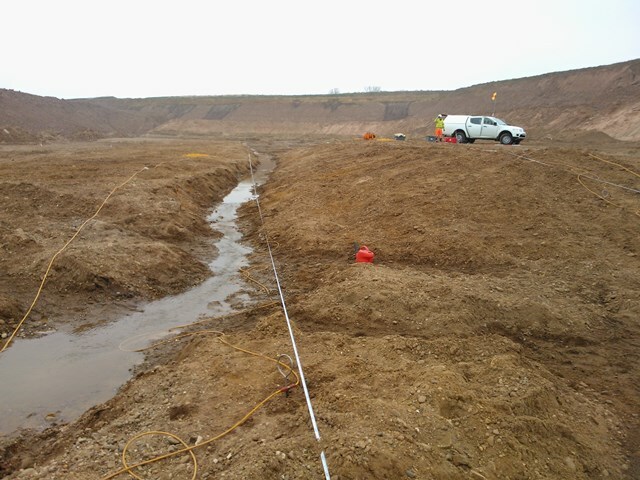 A major erosional feature on the bedrock surface was identified as the boundary between first and second terrace deposits of the Great Ouse valley.